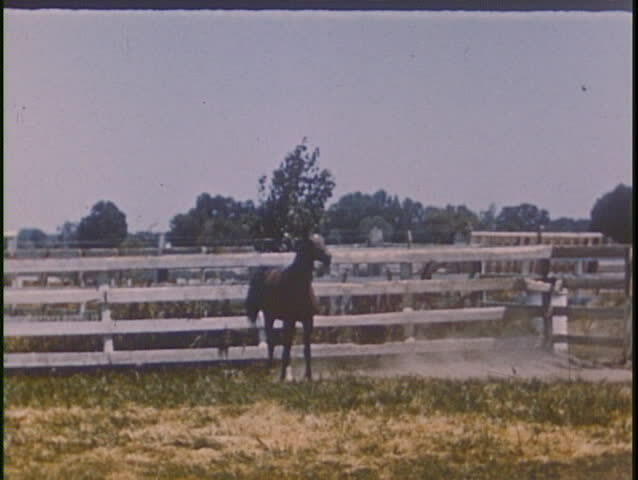 A horse runs in its pen in this home movie footage circa 1940s in California. 4k00:18A Milu deer family , living in Dafeng Milu Natural Reserve. Milu deer, with the scientific name 'Elaphurus davidianus', native to the subtropics of China, is a rare species of deer.